We’d love your help. 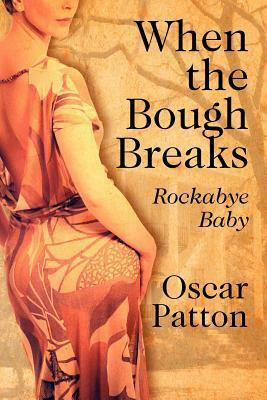 Let us know what’s wrong with this preview of When the Bough Breaks by Oscar Patton. To ask other readers questions about When the Bough Breaks, please sign up. Carl Goodman is the owner, editor, and sole reporter of The Breeze, the weekly newspaper in Hebron, Georgia. 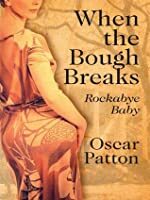 He also narrates the story of Ada McCallum, a beautiful, young woman whose infant son and rich, powerful husband both die unexpectedly in the early morning hours of the same day. With control of her late husband’s many business ventures thrust upon her, Ada calls on her inner strength to withstand the attacks of those who oppose her. Facing a society divided by the prospect of entering a Carl Goodman is the owner, editor, and sole reporter of The Breeze, the weekly newspaper in Hebron, Georgia. He also narrates the story of Ada McCallum, a beautiful, young woman whose infant son and rich, powerful husband both die unexpectedly in the early morning hours of the same day. With control of her late husband’s many business ventures thrust upon her, Ada calls on her inner strength to withstand the attacks of those who oppose her. Facing a society divided by the prospect of entering a foreign war and the evolution of race relations and civil rights at the beginning of the twentieth century, she allies with men and women of similar foresight to forge a new role for herself. Her successes and sometimes-tragic failures touch the lives of countless Satilla County residents. Reading When the Bough Breaks is like sitting in a front-porch rocker, listening to an old, southern gentleman reminisce about his hometown. This is a character-driven story, so the plot meanders a bit – like a slow-flowing Georgia river that takes its time reaching its destination. The characters are all well developed. The personality as well as physical description of each is presented in detail and their connections to Carl, Ada, and Satilla County are thoroughly outlined. The introduction of each into the story has the “Remember when…” feel of reminiscing with old friends or family. DNF. Not saying it was a bad book just not one for me. If you love Gone With The Wind, you'll like this book! I'm not sure if this book really has much of a plot, but it was intriguing. The first pages are filled with the deaths of her husband Hiram and her baby, Hiram Jr. That sets the mood for this book- sad. An editor for the paper (whose name we finally find out at the end of the book) is that narrator. He tells us Ada's story- lies, deceit, triumph, and loss. Boll weevils (which I had to look up because I had no clue what they were), drought, W If you love Gone With The Wind, you'll like this book! I'm not sure if this book really has much of a plot, but it was intriguing. The first pages are filled with the deaths of her husband Hiram and her baby, Hiram Jr. That sets the mood for this book- sad. An editor for the paper (whose name we finally find out at the end of the book) is that narrator. He tells us Ada's story- lies, deceit, triumph, and loss. Boll weevils (which I had to look up because I had no clue what they were), drought, WWI, racial segregation (keep in mind that all of this happens in 1916, which is on the front door of the war), and murder brings together a community. The editor sees things that he never thought he would see. As he fights against the Klan, his life is threatened. He sees his friends and community residents lose their homes to foreclosure, drought, and the Klan. He witnesses the loss of lives, even those close to him. I actually loved this book. The only reason I gave it a 4 was because it wasn't like most books I read that are set in the here and now: A goal. Sure, Ada's last demand was that her story be told, but then again, I read a lot of cozy mysteries (It's a real genre! Look it up!) and I'm used to the characters aiming towards a suspect and eventually the arresting of the perp. Anyways, it was a great book and a real eye opener to what happened in the south, and what they had to do to get by. Makes life nowadays seem so much easier. Oscar Patton is a graduate of Berry College, the University of Tennessee, and Florida State University. A retired college professor of literature and composition, he now spends his days at his writing place on the family farm near Ambrose, Georgia.